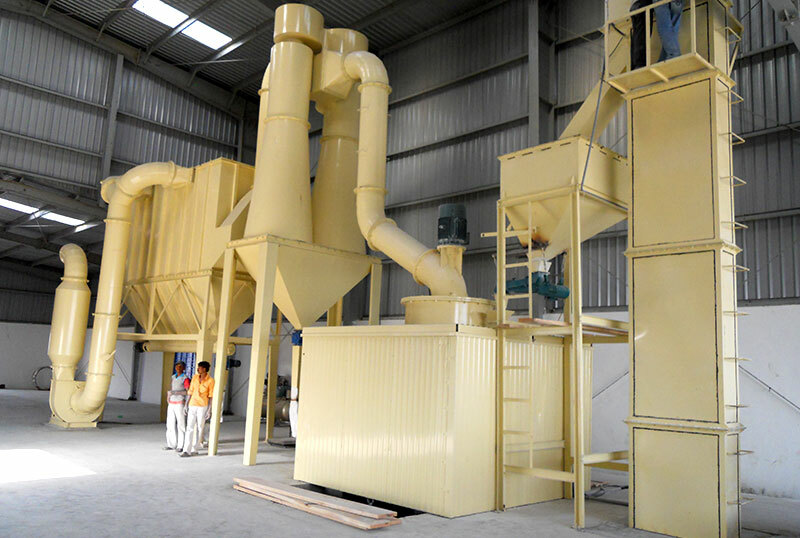 The three-rings and medium speed micro powder grinder named for having three rings, and is the equipment to process the grind mill and superfine grind mill. Applied Material: wollastonite, kaolin, barite, Coarse whiting, rare earth ore, iron ore, talc, feldspar, slag, etc. What’s the three-rings and medium speed micro powder grinder? The three-rings and medium speed micro powder grinder named for having three rings, and is the equipment to process the grind mill and superfine grind mill. 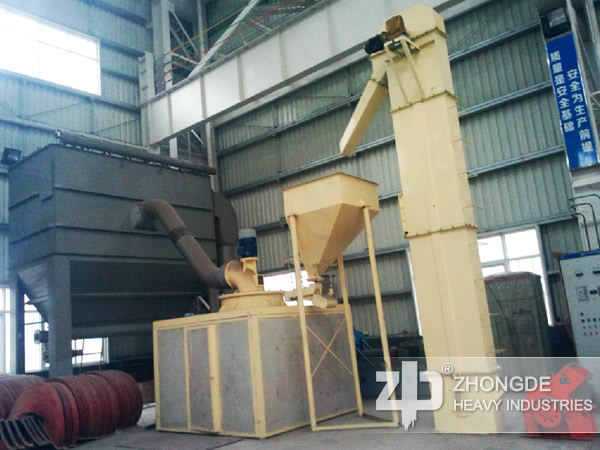 That produced by Zhong De Heavy Mining Machinery is introduced grinding technical from Sweden, the granularity of finished product can reach the 400-3000 mesh. The three-rings and medium speed micro powder grinder which produced by Zhong De is popular because it has the advanced technology and the fineness of the treated material is higher than that of other equipment. 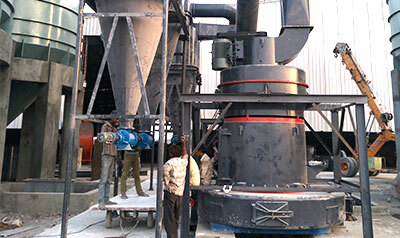 Which kind of material can be handled by three-rings and medium speed micro powder grinder? 2. Non-flammable and explosive brittle materials. 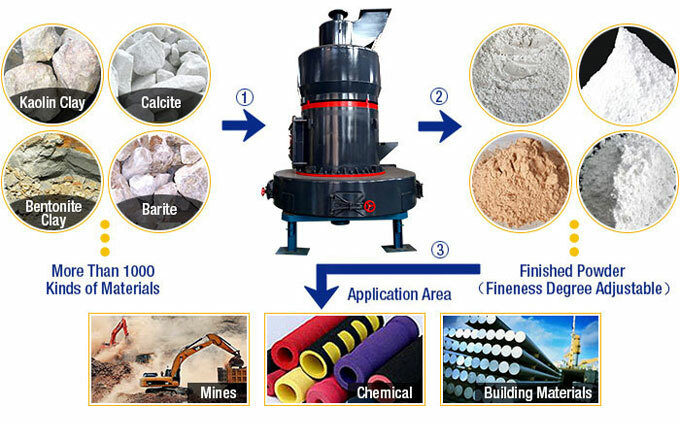 That is to say this kind of grinder can handle the following materials: calcite, potash, dolomite, kaolin, talc, magnetite, vermiculite, auntie, diatomaceous earth, barite, gypsum, graphite, fluorite, phosphate and so on. What unique advantages does three-rings and medium speed micro powder grinder have compared to other grinding equipments? 1. That has three rings, and has the high fineness of product, this is the other grinding equipments does not have the function. 2. That has the higher yield and lower energy consumption. The one major reason of the three-rings and medium speed micro powder grinder is very popular is in the same fineness requirements, the same material, the average hourly output than other grinding equipment, and it has the less power consumption. 3. 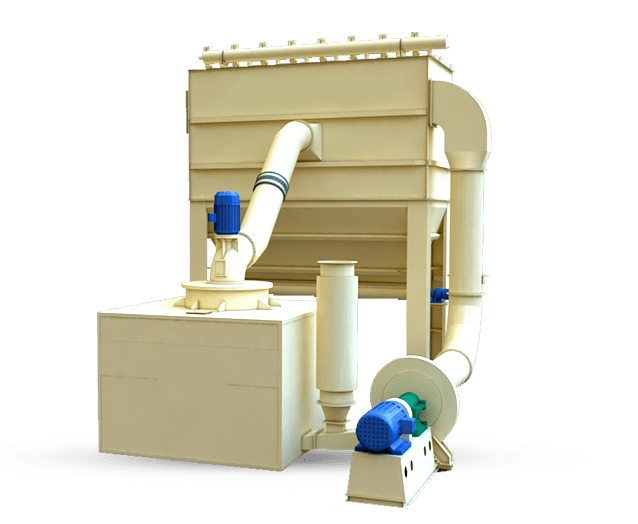 To deploy the dust collector is to prevent the pollution of dust.